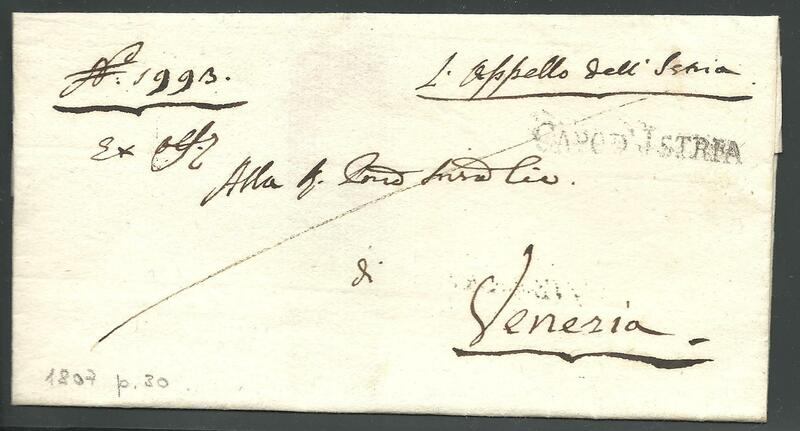 ,,Wrapper of prephilatelic letter, sent "Capo d´Istria" (Koper, October 1807, Mü. 207.a.) to Venice (17. Ott. ).